ASCO Power Technologies (ASCO) provides the solutions to handle the transfer of critical loads to emergency sources reliably and with state of the art products. Using ASCO products can mean the difference between a minor inconvenience and a major catastrophe. 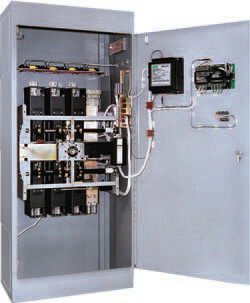 You’ll find ASCO Power Transfer Switches wherever there is a critical load to be protected. is available in open, delayed, closed and closed soft load configurations. Additionally, switched or overlapping neutral options provide for reliable operation of ground fault protection systems and reduction of voltage transients from unbalanced load switching. Whatever your application, we can find an ATS to fit your needs!